What is Massaoke? 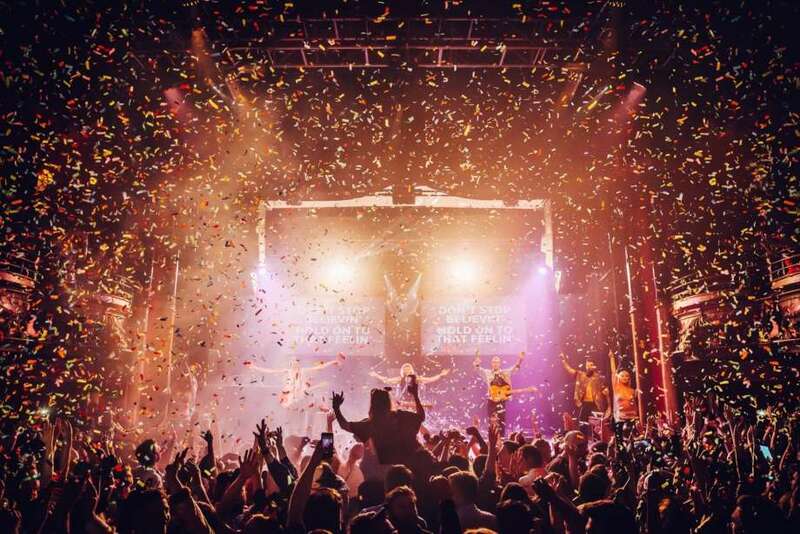 The idea is simple: a sensational live band plays rock, pop and indie anthems with giant video lyrics, and the audience, singing as one, is the star of the show. They’ll take you on a glittering, spandex-clad journey through all your favourite sing-along hits, with mash-ups, megamixes and more. There’s something for everyone, so whether you like to rock-out, rave-up or pull your finest popstar poses, all you need to do is BRING THE SING! Bon Jovi. Adele. Queen. INXS. The Killers. Taylor Swift. A-Ha. Bonnie Tyler. Guns n’ Roses. Wheatus. Abba. Bowie. Oasis. Nirvana. Toto. Fleetwood Mac. Jet. Journey. Men at Work. Chic. Whitney Houston. Spice Girls. Green Day. Journey. Madonna… and many more!